We will be holding our Maynooth summer camp in St. Marys Boys National School which is on the Moyglare Road, just opposite the traffic lights at Manor Mills. Making it an easy walk from the main street. Our Maynooth Art camp will run from the 16th to the 20th July. (10am to 2-pm daily) All our summer camps are 5 days, suitable for children age 5 upwards and cost €95 per child with a €5 discount for siblings. 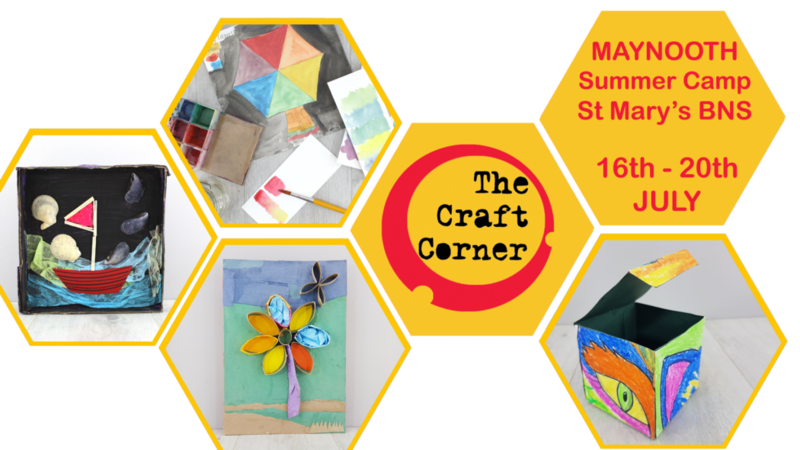 Having several summer camps in Celbridge we are delighted to be expanding into the Maynooth area, getting to share the arty magic of The Craft Corner with lots of new and existing customers. 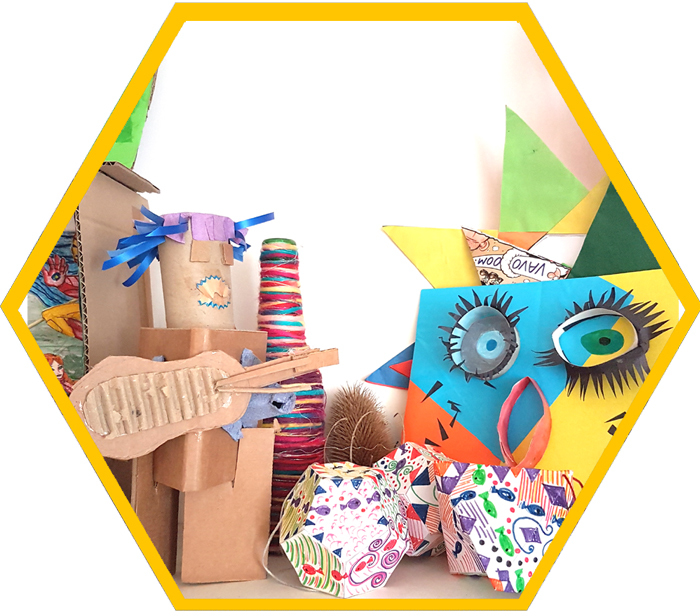 Is The Craft Corner Summer Camp for your child? We like to think that our summer camps are suitable for all children because we believe that every child is creative and should be given the skills and tools to explore that creativity. 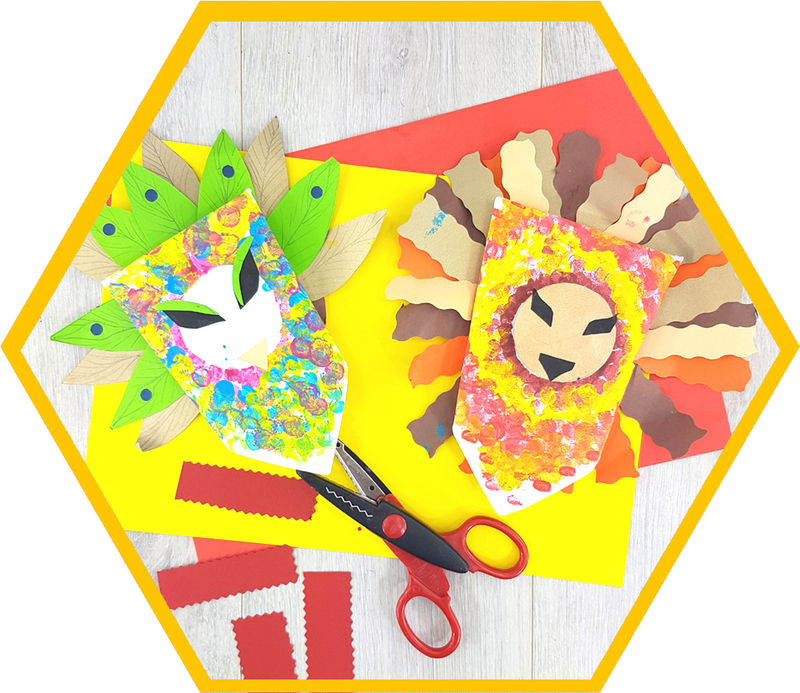 We do a whole range of art projects in our summer camps from 3D building to painting and experimenting with nature art and different craft materials. So there really is something for everyone. We keep the numbers of students in each camp low so that each camper gets one to one attention and this also makes our Maynooth summer camp perfect for a child who might be shy or find big groups of people overwhelming. At our St Marys Boys National School summer camp we will be covering a whole range of arts and craft projects. Each year we design new projects as we get children returning every year to do our craft camps. We will do painting, working with oil pastels, cardboard crafting, free crafting, using glue and paper crafts. Playing with paint, experimenting with colour and creating with card. 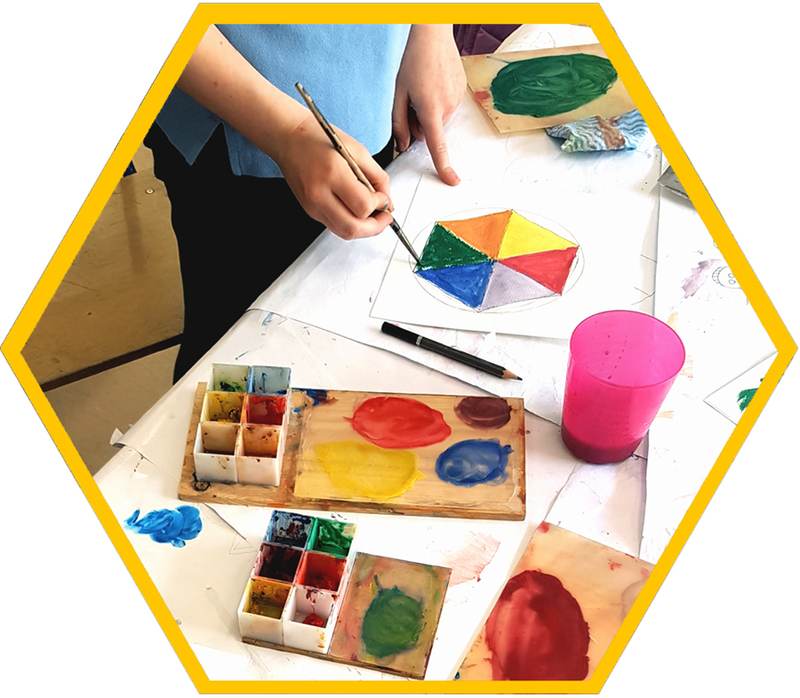 We love to think outside the box in our art camps, teaching our students not just how to paint a picture but also how to make our own paints, craft our own paper and think about how we could make our own brushes. Art is about so much more than the finished product, it is about the process and learning about the hows and whys of what we do. Our Maynooth camp will be on from the 16th to the 20th July in St Mary’s Boys National School, Moyglare Road, Maynooth. The camp costs €95 per child. This includes all the materials, an arty present at the end and a little party on the final day. Plus all the amazing artwork they will bring home each day of course. You can see the Maynooth summer camp location on the google map here or below.